Stem cell therapy is a alternative to traditional orthopedic knee surgery. Mesenchymal stem cells (MSC) can differentiate into cartilage, bone, tendon, ligament and disc. Studies have demonstrated that the use of cultured expanded mesenchymal stem cells are both safe and effective in the treatment of knee osteoarthritis. Does it matter how the stem cells are delivered to a targeted area? In the case of soft tissue this is not a concern since the surrounding tissue will confine the spread of the stem cells to the targeted area. In the case of a joint such as the knee the delivery of cells is of critical significance. The key is that stem cell function through local attachment to the damaged site. Animal studies have demonstrated that cells injected into a large joint often times have difficulty finding their way to the damaged area. The key is delivering stem cells directly into the damaged site. Koga demonstrated this by comparing the results of blindly injecting stem cells into a joint vs dripping the cells directly into the damaged area. The illustration below tells the story. A defect in the cartilage was created and different methods of delivery were examined. On the left there was minimal cartilage growth after the injection of saline. In the middle there was minimal cartilage growth after blindly injecting stem cells into the joint. On the right where cells were injected directly into the area of damaged there was robust cartilage growth. The new cartilage is purple in color. Bottom Line: The exact placement of stem cells within a joint is of critical importance. At the Centeno-Schultz Clinic we utitlize x-ray and MSK ultrasound to guide bone marrow and platetlet derived stem cells into the area of damaged tissue to maximize clinical outcomes. Stem cells have been successful in the treatment of common orthopedic injuries which include knee osteoarthritis, meniscus tears, quadriceps and patella tendonosis and ACL laxity. Ortho 2.0 discusses our comprehensive approach at the Centeno-Schultz Clinic. 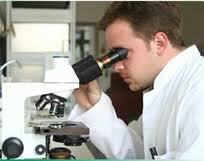 Stem cells have also been successful in treatment of some neurologic and cardiac disorders. The world witnessed the successful creation of a trachea utilizing stem cell technology. Stem cells are available for many sources which include blood, fat (adipose), muscle, synovial fluid and bone marrow. For orthopedic applications does it matter where the cells come from? Stem cells derived from the bone marrow are best for orthopedic applications as discussed in recent chapter authored by Dr. Centeno. Regenexx is a bone marrow derived stem cell treatment for common orthopedic conditions. The procedure involves harvesting bone marrow from the iliac crest(waist bone) and processing it in a state of the art lab. Clinical differences are accomplished when processing of cells is performed by a stem cell biologist vs a bedside centrifuge. This is part of the Regenexx difference. The laboratory is accredited through the International Cellular Medicine Society and tracks patients in a non-profit registry. 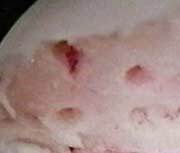 Microfracture knee surgery is designed to repair articular cartilage. The surgery is performed via a small camera that is placed into the knee (arthroscopy). Thereafter an awl is used to create small fractures in the bone whereby blood and bone marrow seeps out of the fracture creating a blood clot. The bone marrow is rich in stem cells which gives rise to the new cartilage. Microfracture unfortunately forms fibrocartilage rather than hyaline cartilage. Fibrocartilage is weaker and at higher risk for break down. Recovery can be slow given the extensive period on non-weight bearing. 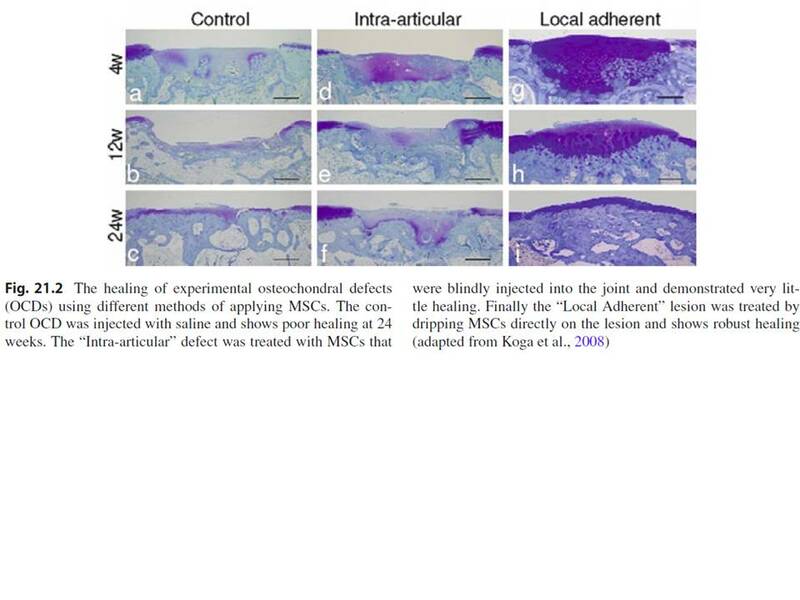 Microfracutre 2.o involves placing stem cells directly into areas of cartilage damage without the trauma of making multiple small holes into the cartilage and bone. Regenexx procedure enables patients to use their autologous mesenchymal stem cells which are placed either through direct x-ray visualization or ultrasound guidance. The Regenexx procedure family has no significant post-injection rehabilitation or downtime and allows the patient to return to passions.